Giants in Seventh Heaven as MK leave with Nothing. 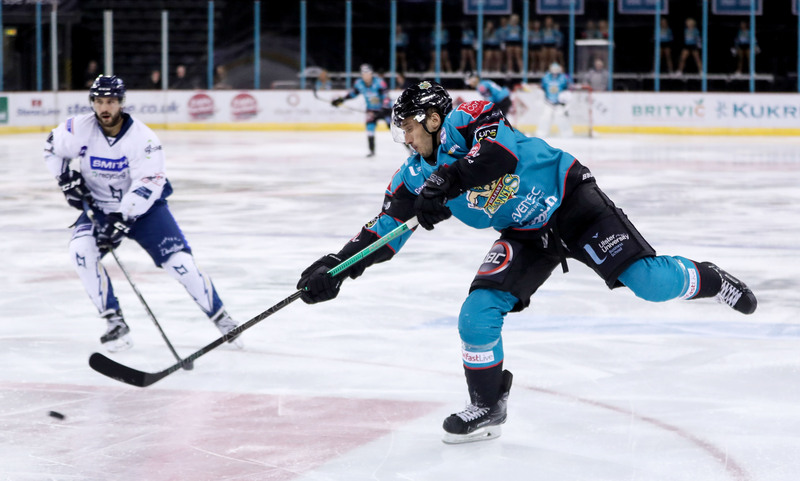 The second hat-trick of the season for Darcy Murphy is the headline on a comprehensive performance as the Giants blew the MK Lightning away 7-0 at the SSE Arena. 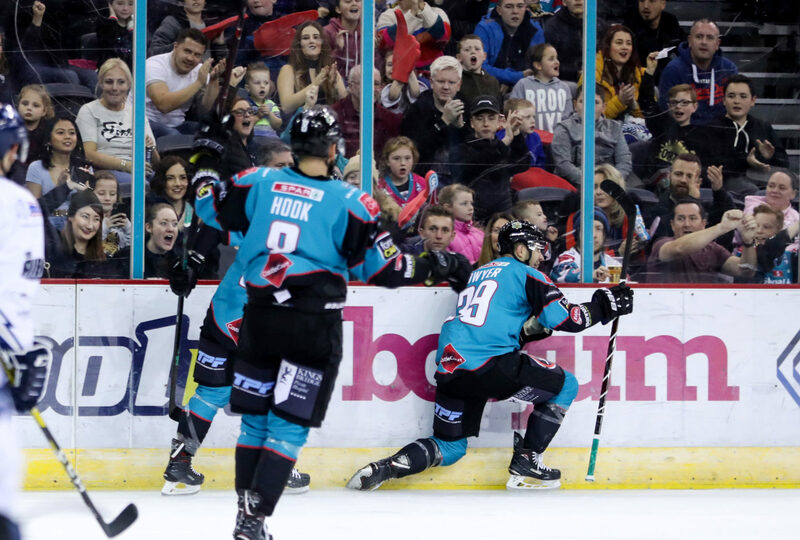 Playing their 2nd game in as many nights against the Buckinghamshire side, the Giants were looking to improve on the previous night’s late surge that took the game from the visitors. Murphy, Patrick Dwyer and Kyle Baun were to be the bread winners of the night, with Dwyser amassing 5 points, with 2 goals. Murphy opened scoring in the 1st period on a feed from Dwyer. And it was Dwyer himself who doubled the advantage in the 13th minute with a spectacular solo effort that bamboozed the MK D and fired high by Patrick Killeen. Giants already dominating the exchanges with only 20 mins in the bank. Into the 2nd and Dwyer was once against to be provider turned scorer, first for Kyle Baun to make it 3-0 and then his own 2nd goal of the night to make it 4. There was a remarkable turn of events when Dwyer had thought he was to pick up a hat-trick goal. A shot from Darcy Murphy on the right circle caught in the shorts of the Giants #39, whose quick thinking made him turn and back himself into the Lightning goal. However on review the Referee’s ruled out the goal and denied one of the more comical scores in Giants history. That wasnt to matter, the 3rd period started with Beskorowany and Patrick Killeen replaced between respective pipes by Stephen Murphy and Adam Goss. Yet for young Goss the Giants just continued where they left off. Dwyer wasnt having any time off, and his work with Hunter Bishop on the Powerplay bagged the former NHLer his 5th point of the night as Kyle Baun hammered home his 2nd goal and the Giant’s 5th. It only took 62 more seconds before the score was 6-0, Darcy Murphy with is own brace with 10 minutes still remaining. A further example of the Giants dominance in this game soon after, with Francis Beauvillier and Kyle Baun in the box for minor penalties, the PK for the Giants at times looked more like a powerplay. The homeside drawing the delighted applause of the SSE Arena faithful as they used the expanse of the ice to keep the puck away from the increasingly tired and frustrated MK Lightning. Only two and a half minutes remained when Darcy Murphy rounded off his second hat-trick of the season. David Rutherford providing the apple as Murphy finished by Goss and capped off a great night for the Giants. A Hat-Trick, Seven Goals, A Shared Shut Out, Five points for Dwyer and 4 points from 4 so far this weekend. The Giants travel tomorrow to Coventry for their first match up against the Blaze. 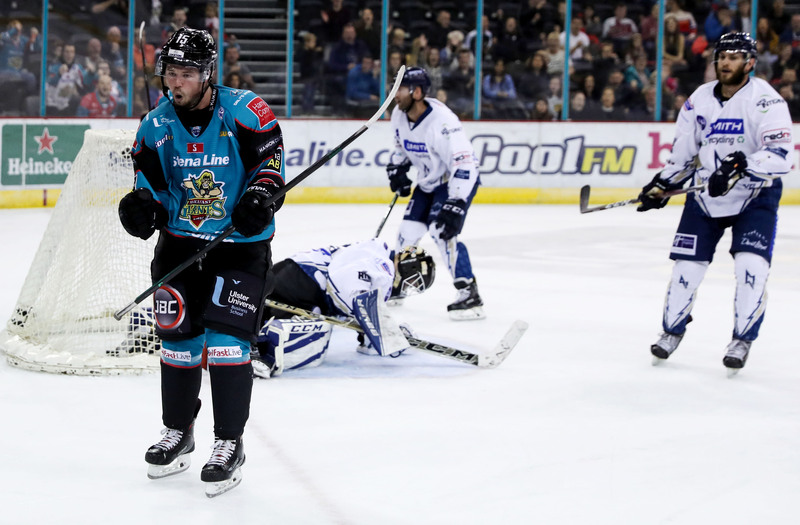 Coventry have been strong at home this season, yet the Giants have used MK to renew their own confidence in front of goal and have started to put together the 60 minute game. Tomorrow will be a test.